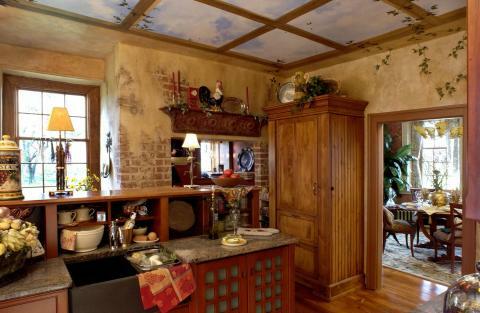 We all know that cabinetry can be used to create any kitchen configuration that can be imagined. 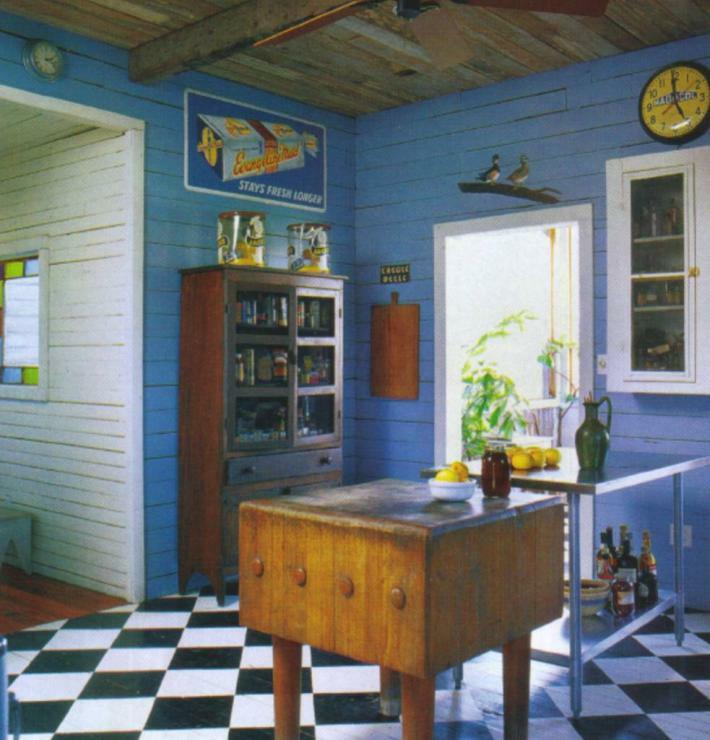 Its success requires that the style, color and materials of each cabinet is the same so that the eye can be comfortable looking at a pleasing composition. Too much diversity and the eye will become confused! 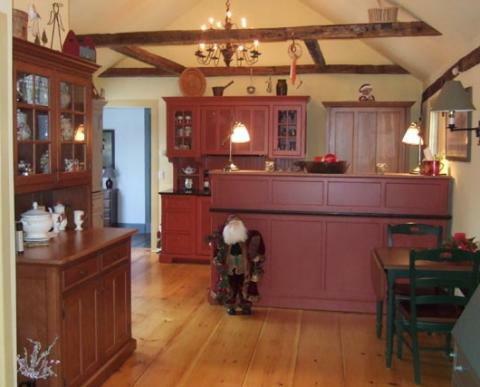 Typically, these kitchens have continuous, horizontal bands of cabinets and counter tops. 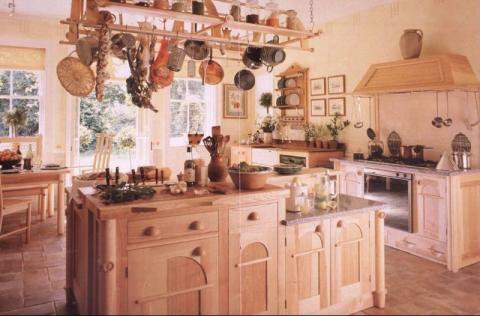 This unfitted kitchen was designed by Johnny Grey for Smallbone back in the 1980s. 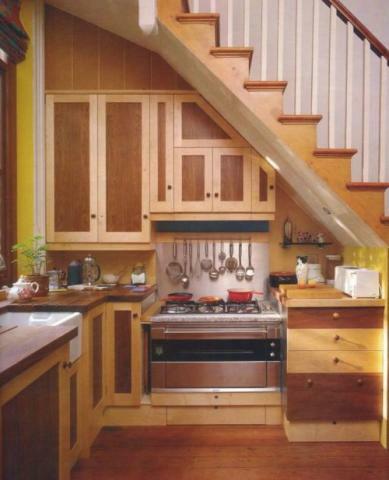 Unfitted kitchen furniture separates all the functions of the kitchen into separate ‘Workstations’. Each separate piece has exposed fronts and sides (and sometimes backs) and they are more 3-D in their appearance. 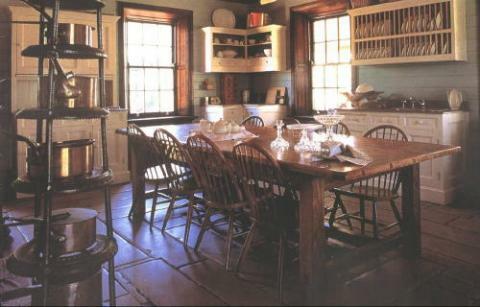 Furniture has sculptural 3/D characteristics whereas cabinetry has a flatter, more repetitive look similar to wallpaper. Furniture divides the room into separate vertical spaces, allowing the wall, floor and ceiling surfaces to meander in between each separate piece. In fact, it is these ‘voids’ that keep the whole composition together and allows the eye to have a comfort level when there is so much diversity in the size, style, color, material and shapes of the individual pieces of furniture. Key to the workstation idea is to make each piece more efficient per lineal foot than the standard 2 foot deep cabinetry. Extra depth and additional counter tops in the ‘reach zone’ can add valuable workspace and storage space right where it is needed the most. Designing an unfitted kitchen is more like designing all the other rooms of the house that don’t have any built-in cabinetry. You create a room… then furnish it. Here at YesterTec, we think that the special furniture you use should be as beautiful as it is functional. That is why we decided to hide all the appliances, so that when the kitchen wasn’t being used, the furniture would look like real furniture, not furniture with exposed appliances. So we developed technology that would allow all the ‘hot’ appliances like ovens and cooktops to be safely concealed when they are not being used. This has enabled us to create beautiful furnished kitchens of all shapes and sizes. Please see some of the other articles in our Press Room that address some other advantages of furnished kitchens, how they are an appropriate ‘Green’ choice, and many more topics.